Durban, “For me, success is all about going back to the basics. No matter how important you become, no matter how wealthy you become, (don’t forget) the basics that Madiba showed us every day. 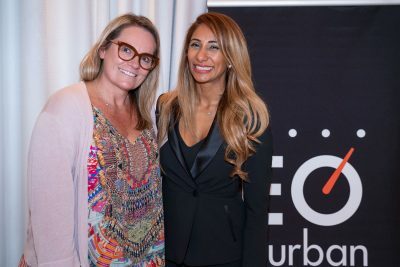 As commoners, we could relate to him because, what he showed us every day were things we could aspire to be.” This was just one of many observations that former private secretary to Nelson Mandela, Zelda la Grange, shared with members of the Durban branch of the Entrepreneurs Organisation (EO) which hosted its premier Entrepreneur Event of 2019 at the Oyster Box Hotel on 20 February. 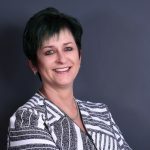 La Grange, who published the book Good Morning, Mr Mandela, to chronicle her experiences at the side of South Africa’s most revered statesman, noted that “the power of sharing” would make for a powerful organisation. Now a sought after motivational speaker, La Grange sees herself as a change agent. As she shares her story of how Mandela both challenged and transformed her, she inspires her listeners to interrogate key issues such as discipline, leadership, respect, integrity, honesty and transparency. She described Mandela as politician firstly and then as a strategist, statesman, an icon, a father figure and more. “Every day, Madiba was disciplined, was honest, showed his integrity and respected people. This is why we all adored him so much. He was such an authentic person. He decided that if he could just touch one person a day, he could change the world,” she explained. EO, is the only global network exclusively for entrepreneurs, is active in 54 countries. Members are founders, co-founders, owners or controlling shareholders of businesses making more than US$1 million in annual revenue and founders of businesses with annual revenue that exceeds $1 million. 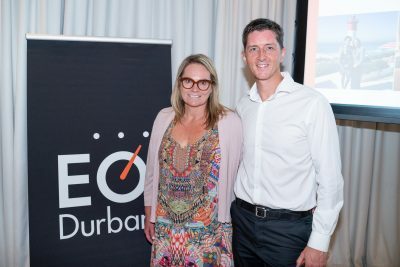 Seeing itself as a catalyst to enable entrepreneurs to grow and learn from each other, EO aims to enrich members’ lives through dynamic peer-to-peer learning, once in a lifetime experiences and connections to experts. . . .
Hammarsdale, KZN, 24 January 2019. 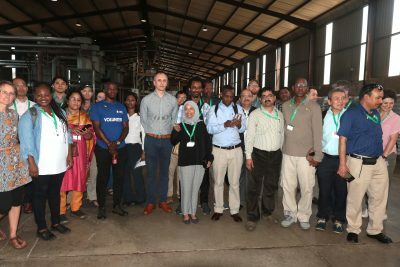 Scientists attending the Intergovernmental Panel on Climate Change (IPCC) Working Group II meeting in Durban, on Wednesday (January 23) visited Mathe Group, South Africa’s largest radial truck tyre recycling plant. Based in Hammarsdale, the factory has been a trailblazer in the recycling of the millions of used radial truck tyres that had been building up in the country. Intense product development and changing mind sets to create demand for the resulting rubber crumb were key to Mathe’s ongoing success, explained Dr Mehran Zarrebini, head of British investment group PFE International, which bought a major stake in the group three years ago. Until 2012, South Africa had no tyre recycling strategy. Dr Zarrebini explained that, because tyres are robust and durable, they are notoriously difficult to recycle and take ages to biodegrade. Up until now, they either accumulated in landfills or were dumped on vacant land. Often, impoverished communities burnt them for warmth or to remove scrap metal. The resulting dioxins and carbon monoxide were both an environmental and a health hazard. Mathe Group began operating from a mini factory in New Germany, Pinetown in 2012. The joint venture with PFE International ensured a ready supply of rubber crumb for the manufacture of acoustic underlays for carpets manufactured at PFE’s Van Dyck Floors factory. When the new R20 million processing plant in Hammarsdale came on stream in 2016, the number of tyres processed shot up from 8 500 in 2012 to over 170 000 in 2018 and rubber crumb output grew from 400 T to 6200 T. Dr Marlies Craig, Science Officer for the IPCC Working Group II pointed out that operations like Mathe Group were important in light of the dire warnings in the latest IPCC Special Report on Global Warming of 1.5°C. “Without wide ranging, unprecedented and immediate transformation in the way we do things, we are heading for extremely dangerous levels of global warming, . . .
Durban, 14 January 2019. 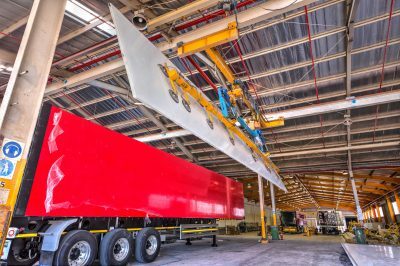 Full order books, business already coming in for 2019 and a positive outlook generally for the new year - that’s the good news from leading South African trailer and truck building company, Serco. Managing Director Clinton Holcroft attributes the continued impressive business performance to tight cost control and the company’s Protec Steel refrigerated vehicles “People in the industry continue to be impressed with the durability of the coated steel panels. Added to that they also like the newly introduced rice grain aluminium floor which has proved to be a popular high wearing feature,” said Holcroft. Other features include fully welded aluminium scuffs which create a durable, waterproof and high strength structure; and new door seals made of an extruded rubber material, providing an excellent thermal barrier preventing the leakage of cold air. Another advantage is that repair costs to the coated steel vehicles are relatively low. 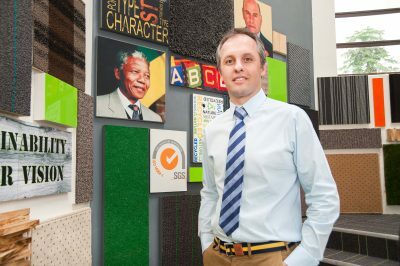 Holcroft said the slow economy and volatile rand had put a lot of pressure on Serco in 2018 but there had been positive growth for the company thanks to its advanced panel manufacturing technology. “Serco has also created new positions for a Process Improvement Manager and a Quality Engineer to build on the continuous improvement culture in the company. “Serco is ending the year on a positive note with full order books while orders for the New Year are looking positive. “We expect next year to be similar to 2018 and are well placed, well equipped and determined to make a success of it. The economic forecast for the South African economy for 2019 is another year of marginal growth, but we remain optimistic, especially with efforts being made to root out government corruption and the recent investment summit which I believe will combine to help create a more enabling relationship between business and government,” he said. “Serco will continue working with customers to find tangible solutions for . 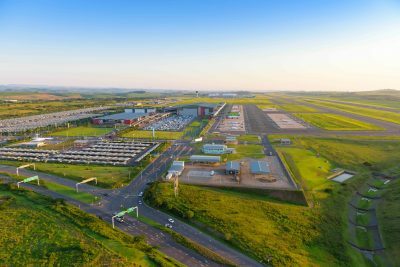 . .
2019 will be a year of consolidation for British Investment Group, PFE International and the companies within its group - Durban-based Van Dyck Floors and Hammarsdale based truck tyre recycler, Mathe Group and PFE Extrusion, which produces polypropylene fibre and bulk continuous filament yarn. For managing director, Dr Mehran Zarrebini, and the approximately 700 employees across the group, it will be business as usual with further major investments still on the table but likely to materialise only in the longer term. 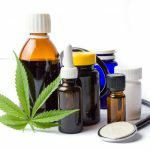 “We’ve done quite a bit of investment over the past five years, so it’s a matter of leveraging off this and trying to ensure that whatever capacities we’ve brought on stream can be fully utilized. During 2019, we’ll be taking a consolidative approach and focusing on improving efficiency and productivity, Zarrebini explained. He pointed out that, during 2018, economic difficulties that impacted negatively on the manufacturing sector as a whole. These were a continuation of a downward trend from previous years. While some issues that had contributed towards a volatile rand and spiraling raw material and production costs had been locally instigated, global geo political issues that had impacted on emerging markets and over which South Africa had no control had also increased pressure on local producers. He cautioned that there were no quick fixes and 2019 promised to be another challenging year. However, he remains cautiously optimistic and noted that both international investors such as PFE International and local manufacturers needed to take a longer term view of recovery. “Both existing investors and those considering coming into this country can’t be myopic. There may be challenges but there are also a lot of opportunities to generate growth. We are in a similar position to 2008/9 and we need to take a 10 to 20-year view rather than a shorter, five- year approach. Right now, it is a question of mitigating risks in a turbulent landscape. . . .
Corobrik invests in the future Corobrik’s ongoing investment in new production facilities, new technologies, new products and the architects of the future have combined to open a whole world of new possibilities in brick architecture. 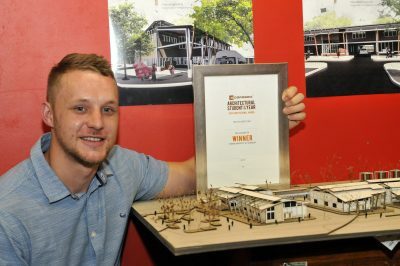 The 32nd Corobrik Architectural Student of the Year Award, which will be announced in Johannesburg in May 2019, is one such commitment to innovation and the future of South Africa’s built environment. Ruan Jansen van Rensburg from the Tshwane University of Technology, is this year’s regional winner. In addition to his prize of R10 0000, he will go on to compete against seven other talents from tertiary institutions countrywide for the national award. Kyle Coulson, who collected a cheque worth R8 000, was placed second. Carla Schmidt, collected a third prize of R6000 while Siyanda Nkosi received R6 000 for the best use of clay masonry. Ruan Jansen van Rensburg dissertation is entitled ‘The design of an innovation farm’ – an experiential facility for Cannabis plants as an alternative resource in Eerste Fabrieke, Mamelodi. Jansen van Rensburg says the project proposes an innovation farm adjacent to the Eerste Fabrieke train station in Mamelodi. This farm is an attempt to contribute responsibly to the dilapidated socio-economic structures and provide the community with educational platforms to strengthen self-sufficiency while contributing to micro-economies in the area. The investigation deals with two core ideas and the Innovation farm mediates between them. On the one side, the project investigates Mamelodi, specifically Eerste fabrieke station and its surrounding neighbourhoods as experimental ground for this study, and on the other side, the positive attributes of Cannabis plants specifically cannabis sativa (industrial hemp), as an accessible and affordable alternative resource, predominantly as a construction material in an underdeveloped context. In second place Kyle Coulson project is titled Space Lab. It . . .